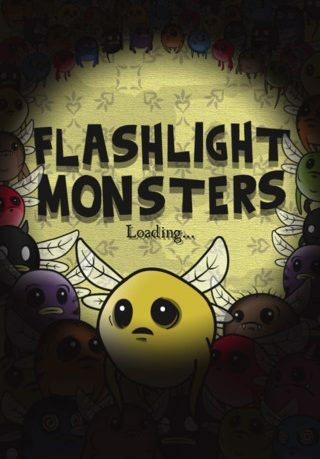 Flashlight Monsters for iPhone is a very simple game, but that is not to say that it is a bad game; far from it. 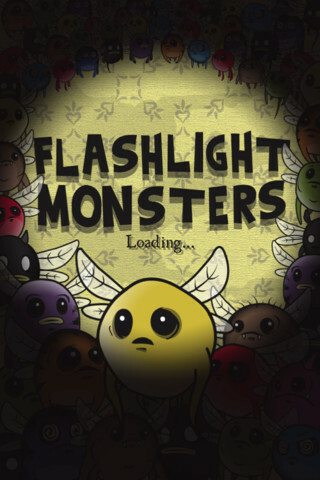 The simplest of games can often be the most addictive and compelling, and while Flashlight Monsters may not be about to set the world alight, it is a solid game that is presented absolutely impeccably. 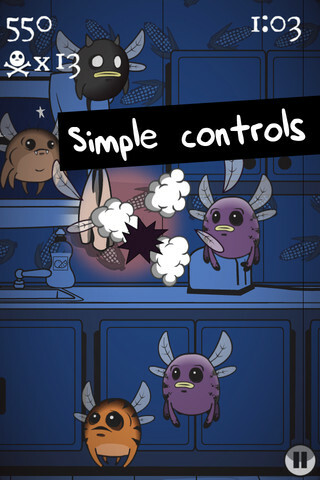 The game sets you with the task of clearing your house of a plague of cute little monsters. These pesky fiends have been hiding in the walls of your home, but luckily they are easily destroyed by the glare from your trusty flashlight. This forms the basis for the gameplay, with your flashlight turning on whenever you touch the screen. This means that you must drag your finger around the screen, killing the little beasties and improving your score. It is not as easy as that, however, as certain, darker monsters will reduce your score if you accidently touch them with the flashlight. There are Game Center achievements and leaderboards included, which is welcome, but I really do love the fact that there are also local scores; something that a lot of Game Center games neglect to include, so I am glad that they are here. The game is beautifully presented, with absolutely gorgeous animation on the monsters as they fly about. It really does look very good, and the effort put in for what is essentially a casual game, is impressive. The game is fun to play, although it can get repetitive, so that is something to bear in mind if you are considering a purchase, but there is a free version to try out to see if you like the game. Overall, this is a lovely looking game that will definitely keep you entertained, with plenty to do, lots of high score options and superb animation. the founder of the anonymous, social, local network app Spraffl.